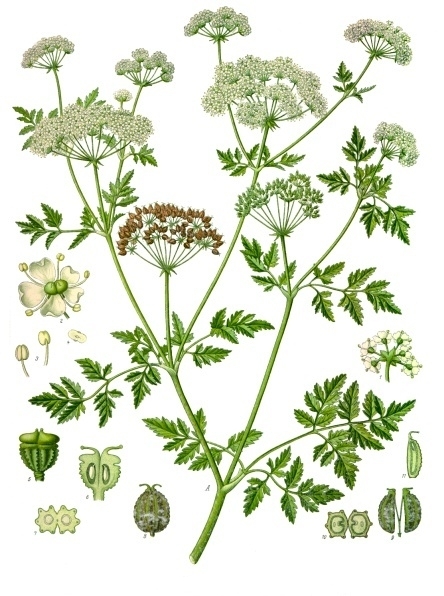 Poison hemlock has an appearance similar to wild carrot and is a member of the parsley family. The plant has compound leaves made up of multiple leaflets that are finely divided and have a triangular shape. Some descriptions say the leaf has a lacy appearance. One of the key identifying characteristics is the stem. The stem of poison hemlock is smooth, hairless, and hollow and is colored with purple blotches. The plant is a biennial and can be overlooked in its first year when it produces only vegetative growth. It becomes very noticeable during the second year when, after early vegetative growth it bolts and produces a flower stalk that can be 3-8 feet in height. The small white flowers are arranged in an umbrella-like cluster. Up to 40,000 seeds per plant can be produced. As the seeds mature in August and September they are easily spread by moving water, animals, people and mechanical activity such as mowing. This is an invasive plant that can take over open areas and crowd out beneficial plants. Control of poison hemlock needs to occur while the plant is in the vegetative state, so early spring is a good time to control second year plants and fall a good time to control first year plants. Herbicides can be effective in killing poison hemlock. Recommended herbicides and herbicide products include 2,4-D, dicamba (Banvel/Clarity), Crossbow (2-4,D plus triclopyr) and glyphosate. The 2012 Ohio and Indiana Weed Control Guide rates Crossbow and glyphosate as a little more effective than 2,4-D or dicamba products. Be aware that all of these herbicides are broad-leaf weed killers, which means if these products are applied in a pasture they will kill desirable broad-leaf plants such as clover, and in an alfalfa field will kill alfalfa plants. 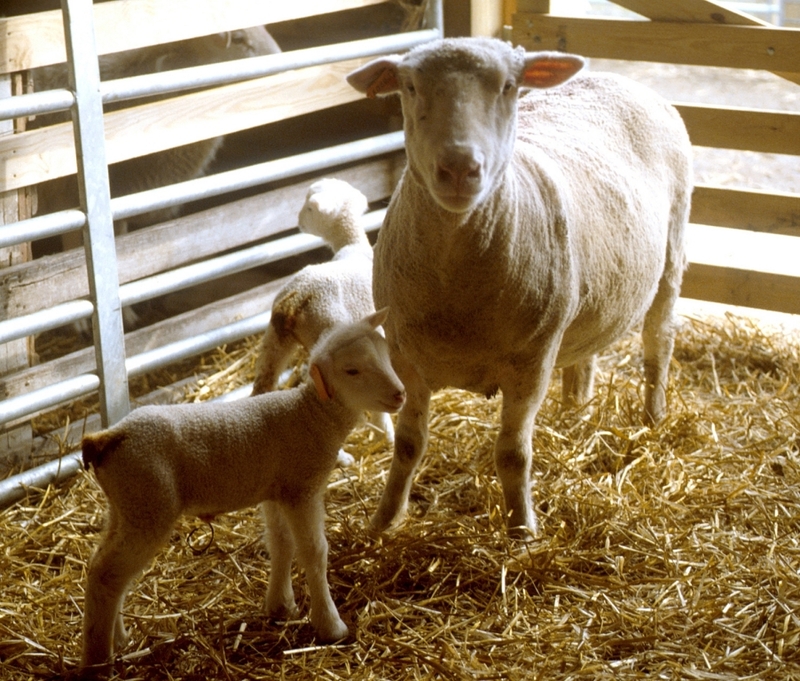 Spot spraying is recommended when infestations are small and limited in scope. Posted by Braden Campbell at 10:23am January 4, 2019 Posted in Management and tagged Forages and Pasture, Management. Bookmark the permalink.